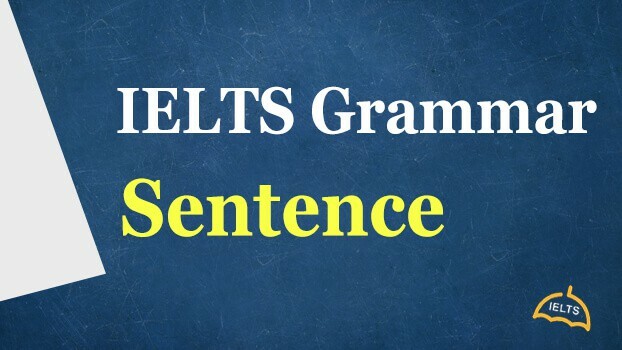 One important component of scoring in IELTS Writing and Speaking is Sentential range or putting it simply, a range of sentence structure that one can use. Before going on to explain the different sentence structure, let us understand what a sentence is. 1. It has to be a group of words. 3. It has to be of the SVO order. Let us look into each in detail. A sentence is always made up of a group of words. My exam is on the 26th of April. If you look at all the above examples, each one is made of more than one word. A group of words is considered a sentence only when it gives complete meaning. If you look at the above examples, all the sentences carry a form of complete meaning, so unless your sentence is giving complete meaning, keep writing. A sentence needs to carry a complete meaning. Now one might argue that a simple word like ‘Sleep’ is complete in its meaning. Yes, it is, but note that ‘Sleep’ when simply put followed by a. like ‘Sleep.’ is a command and not a sentence. Pushing further, the group of words like ‘in the corner’ adheres to the first criteria, gives you some sense, but not complete sense and thus cannot be considered a sentence. All English sentences are of the order- SVO. What do I mean by this? All sentences in English start with a subject- S, followed by a verb – V and finally an object- O. Red is my favourite colour. In all of the above sentences, ‘the sun’, ’red’, and ’Donald Trump’ are the subjects of the sentences, in the sense that, they are the topic of the sentences. Each of the subjects are followed by doing verbs, otherwise called as ‘verbs’. The verbs are followed by ‘objects’ which give information about the subject. Note: Questions in English are not of this order and will be discussed in a separate article. Sentences can sometimes get rid of Objects, when the Subject and Verb can independently form complete meaning. He went to get fish from the market. 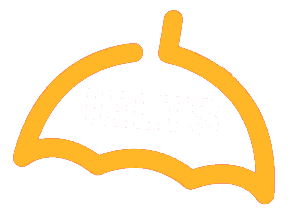 Proficiency in English is a must for IELTS. My mother and father own a house in Delhi. All of the above sentences carry either one word or one phrase as a subject, a verb and an object. In linguistics or chemistry, compounding stands for joining or combining, and as the name suggests, a compound sentence is a sentence which is made up of two or more sentences. The structure of a compound sentence is SVO+SVO. a. I went to the market and he went to the bank. b. My mother cooks in the morning and then goes to work. In the above example (a), “I went to work” is the first sentence and “he went to the bank” is the second sentence and both are combined together with the help of a conjunction, ‘and’. In the sentence (b), “My mother cooks in the morning” is the first sentence and “goes to work” is the second sentence wherein the subject of the second sentence ‘she’ is implied from (a). So the structure of (a) is SVO+SVO and the structure of (b) is SVO+VO. The + sign is to be replaced by a conjunction. And, but, because, therefore, nevertheless, or, neither-nor, hence, since, etc. As the name suggests, complex sentences are pretty complex in nature. Before we go into the details of a complex sentence, let us understand what a ‘clause’ is. Ramesh, who is a good painter, is coming to town today. When written “Ramesh is coming to town today” is a complete sentence on its own. However, the part “who is a good painter” without a question mark (?) does not make complete sense. “who is a good painter” is a perfect example of a clause where ‘who’ is the subject, ‘is’ is the verb and ‘a good painter’ is the object, but however, does not have a complete meaning and thus, cannot be a sentence. It needs the subject Ramesh to form meaning and thus, is dependant on the subject of the main sentence. The insertion of a dependent clause within a sentence makes it a complex sentence. The structure of the above sentence is SsvoVO. Similarly, complex sentences can also be formed having a structure SVOsvo. Ramesh is coming to Delhi today which is the capital of India. In the above sentence, “Ramesh is coming to Delhi today” is one sentence (SVO) and “which is the capital of India” is another SVO but does not carry full meaning and thus is a clause. The map illustrates the town of Queensland, which is situated in the western coast of North America, is densely populated. A certain section of people who believe in child marriage think that it is a sign of prosperity to get their children married at a very young age. To sum up, it is very important to exhibit these variations in terms of sentence structures to score 8+ in IELTS. So the next time you practice speaking or writing, please experiment with sentences to get comfortable with each.